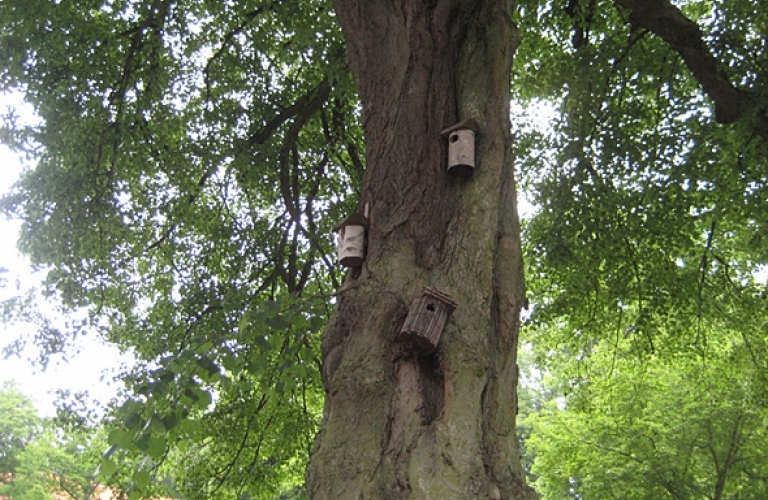 In the garden and the surrounding area, more than 50 different bird species are counted. In spring, both geese, fishing herons and the breeding woodcock are often seen. The season also offers ducklings, especially the tufted duck and towards summer there are a wealth of songbirds and lapwings. If you are lucky you can hear the nightingale, and if you are very lucky you can see the breeding kingfisher. 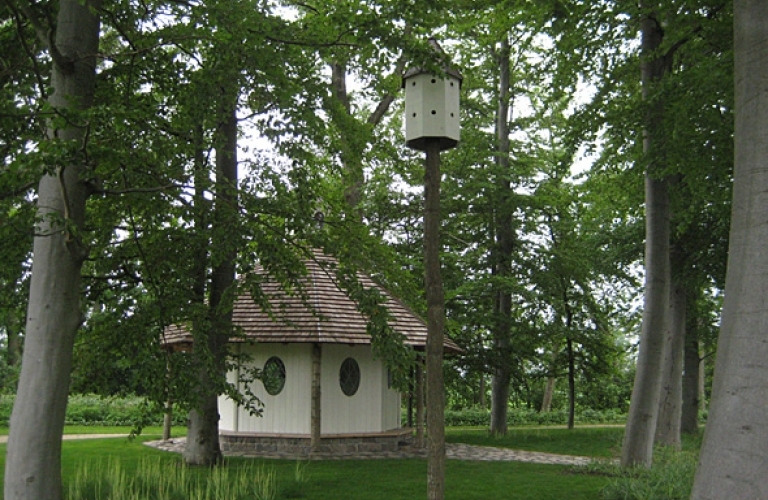 Summer and late summer offer the different types of swallows cool and characteristic cuckoo. 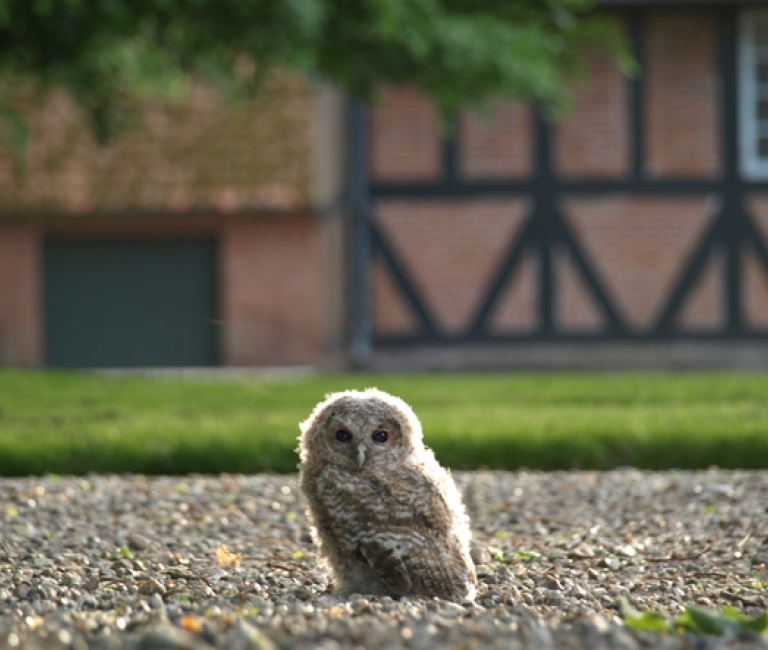 This young owl took a break after the long way down from the chimney on the main building! 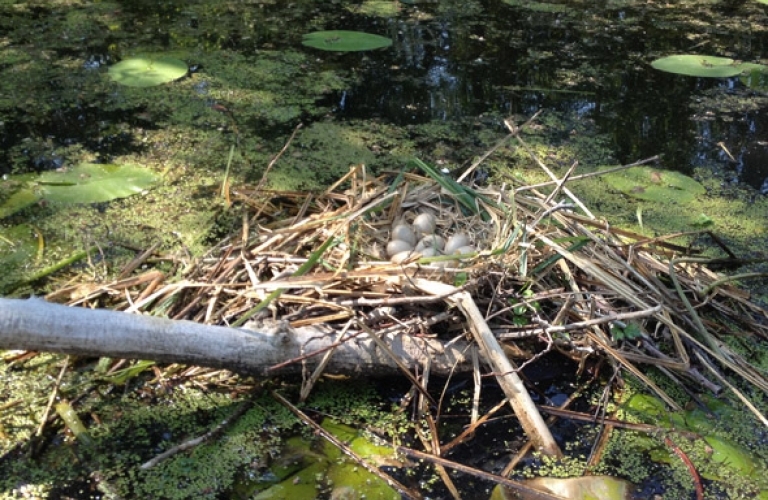 The coot has many eggs in the nest, securely placed in one of canals.